Dimensions: 3 1/2 x 4 7/16 in. 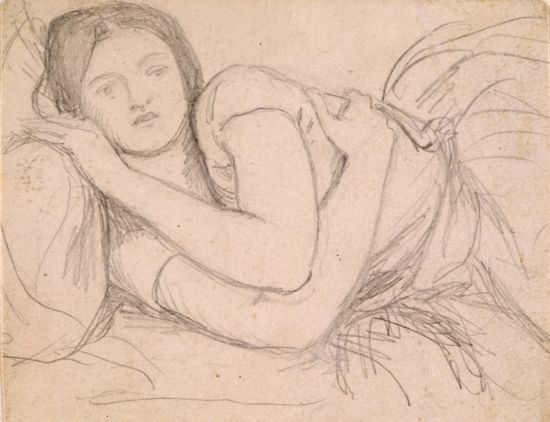 Fanny Cornforth was probably the model for this picture, a study for Bottles , which was painted in 1848 but reworked in the 1860s. Surtees, A Catalogue Raisonné, vol. 1, 7 (no. 31A). Surtees, A Catalogue Raisonné, vol. 2, plate 18.